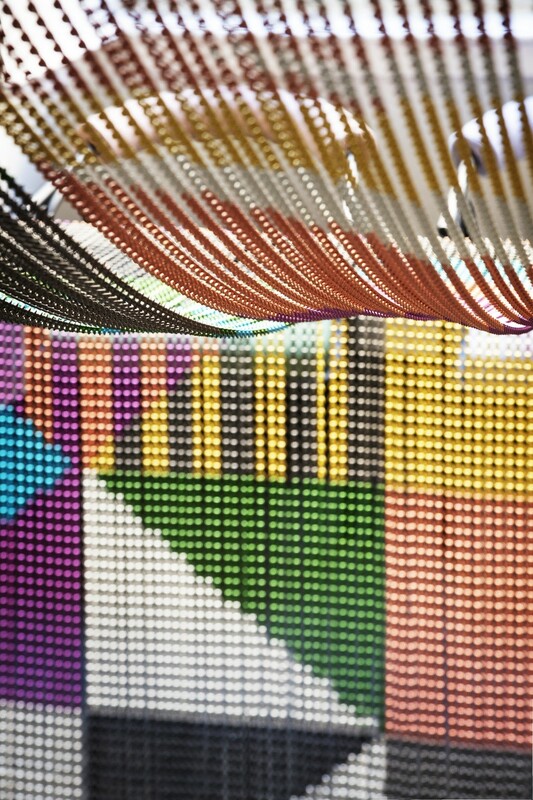 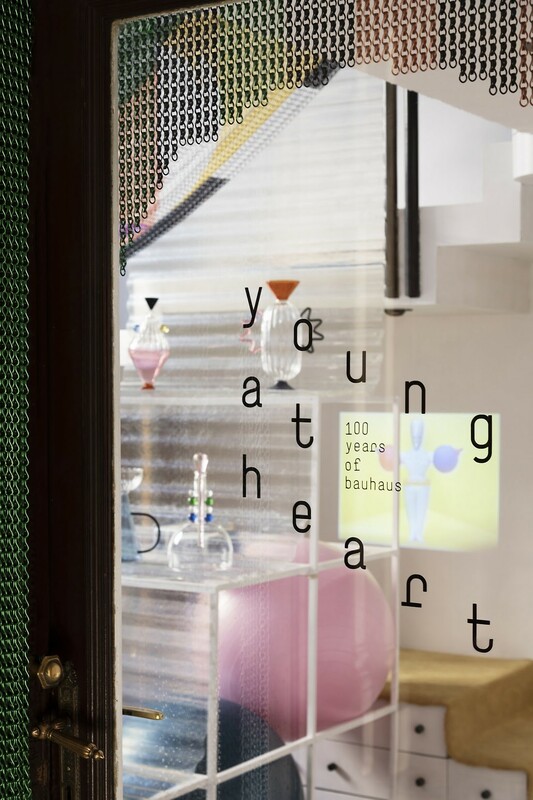 After collaborating in the cladding of the facade of Archiproducts Milano 2017, the designer Serena Confalonieri relied again on Kriskadecor for the installation "Young at heart", which was exhibited at Via Settembrini, 60 from 9 to 14 April. 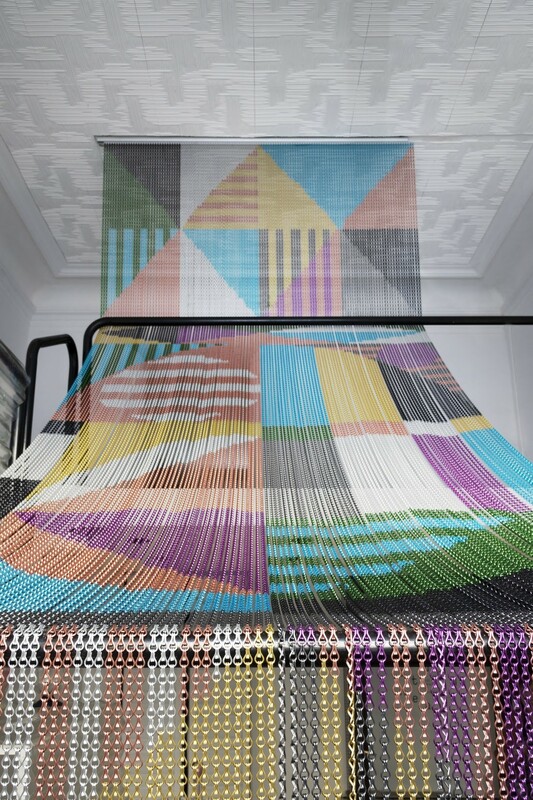 Coinciding with the 100th anniversary of the Bauhaus movement, the Italian artist presented a work inspired by two disciplines of the Germanic school: The Triadic Ballet and textile design. 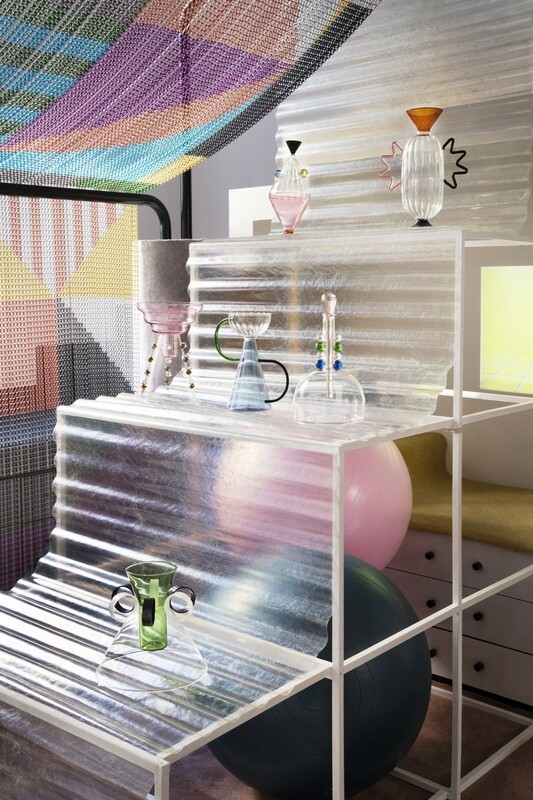 To decorate this space, Confalonieri used two design solutions made with aluminium links: a large arch that welcomed the visitor and a metal tapestry called "Alma", inspired by the work of Anni Albers and Gunta Stölzl and that was simulating a great loom.